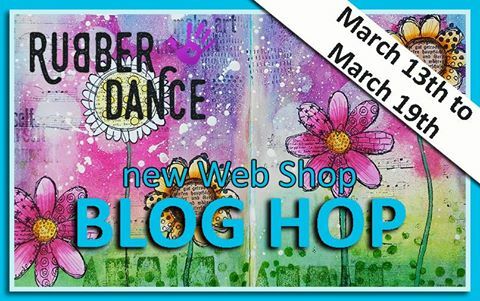 Rubber Dance have a new web site and we are celebrating by having a blog hop! With prizes!!! The hop finishes on Sunday, March 19th 23:55 CET. 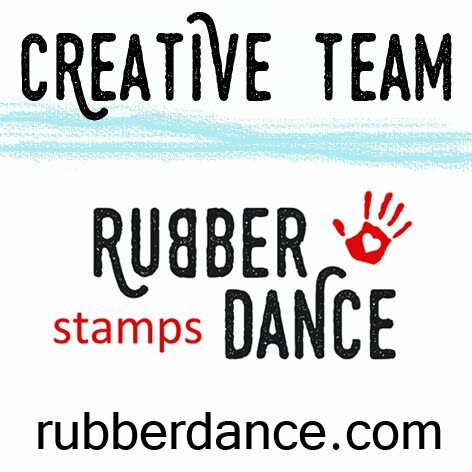 so be sure to follow the Rubber Dance blog if you aren’t already. 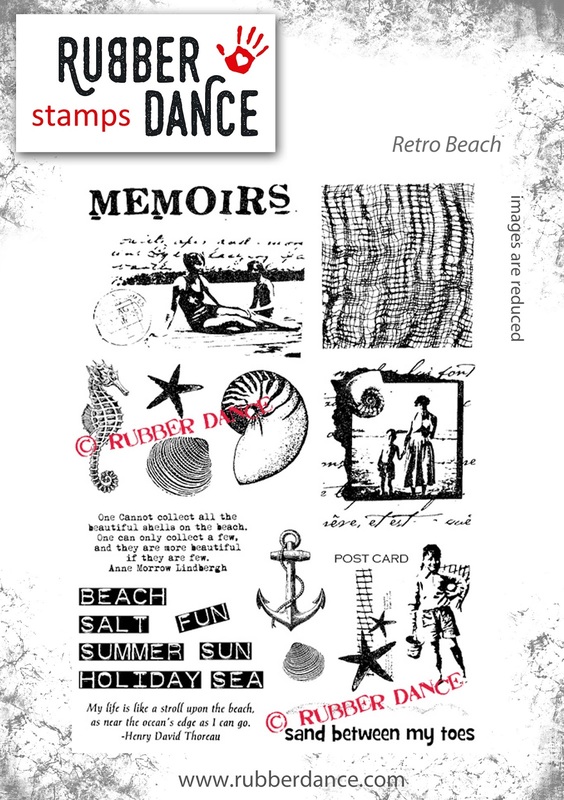 #1 One sheet of stamps of your own choice. #2 Any 3 single stamps of your own choice. My card uses the Retro Beach set. This set, although used here on a card, is ideal for so many different types of projects including ATC’s, scrapbooking and background stamping in art journals. 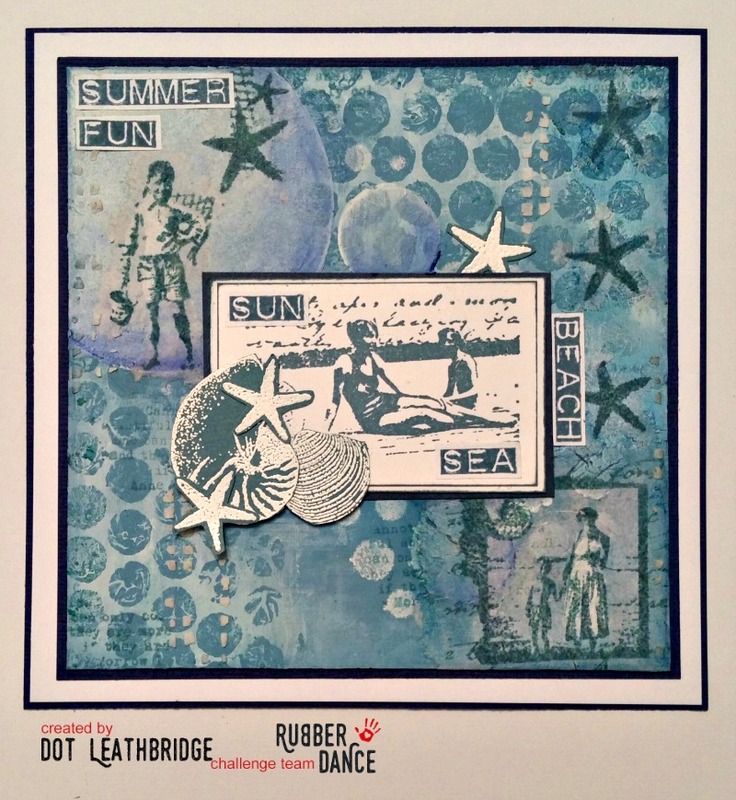 This Retro Beach set was so much fun to use! and then using bubble wrap to add another layer. The background has images from the set, stamped onto tissue paper and applied to the painty back drop. Finishing with a little layering of some random images from the set. The discovery for me this time is how awesome the bubble wrap is after you have used it a few times and the paint has dried. It hardens up and has some really interesting effects. The next stop from my blog is…. Very interesting and brilliant card, Dot. Love this so much! Oh, summer! I get a warm summer feeling of Your card, Dot ☺ It is so beautiful and such a creative way to use the stamps! Love it! Loved this when you showed it to me Dot but I can see it better on your blog and it looks even more fabulous. very interesting card ,love the background !! love your project, you know that i am a vintage fan!!! Oooo…love this. It makes me ready for summer! Super pretty card!!! I love the tone in tone together with the vintage images! Hugs! Hello Dot, long time no speak and so glad I stopped by today. Gorgeous moody blues on your card and wonderfully retro look too. Wow what a great vintage card! Love that you used blues! Dot, Your card is just beautiful! Makes me long for warmer weather and the beach! Thanks so much for the inspiration! Summerfeeling! Beautiful made. I like the bubbles.